I am excited this month to introduce you to a brilliant wine I discovered recently at the S.P.I.T Tasting in Smock Alley Theatre. This Greco di Tufo from a producer called Bambinuto in Campania, Italy, is quite simply beautiful. It is everything I enjoy in a great white wine, intensity, purity, a great energy and vibrancy and a wonderful versatility when considering a food pairing. The dish I wanted to prepare to enjoy with this, is one everybody has a soft spot for – Roast Chicken! 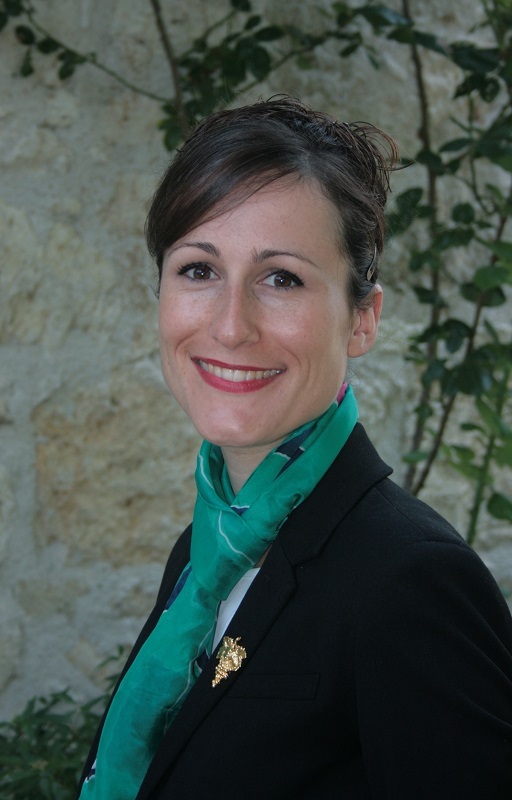 Bambinuto Estate started to produce wine in 2004 when Marilena Aufiero decided to stop selling grapes to the local cooperative. The winery is situated in the region of Campania, in Sao Paolina, in the heart of Irpinia, about 500 meters above sea level. The winery practices organic viticulture despite not being certified. 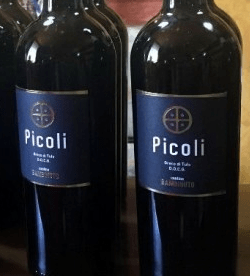 “Picoli” is a single vineyard planted on tufa-rich volcanic and clay soil. Greco di Tufo is on one of the most prestigious white grapes of Campania and is believed to have been introduced in Campania by an ancient people from Greece. Greco di Tufo gives wines which are high in acidity, vibrant and mineral with a unique aromatic expression of ripe stone fruits, lemon, toasted almonds and minerality. 1. Take the chicken out of the fridge an hour before you intend to start cooking it. Leave it covered with a kitchen cloth. (make sure the cloth goes in the washing machine straight after). 2. Preheat the oven to 220 Degrees. Choose a roasting tray that allows the chicken to fit reasonably snug inside. 3. I like to stuff the cavity of the chicken with some torn pieces of bread, a couple of knobs of butter and some robust herbs – thyme or rosemary are perfect. 4. Rub the chicken all over with olive oil and season generously with salt and pepper and place it with a few knobs of butter and some more herbs and a few cloves of garlic in the roasting tray. 5. Roast for 20 minutes at 220 degrees and then drop the temperature to 180 degrees and roast for another 40 – 50 minutes, then remove from the oven. 6. Cut down between the leg and the body of the chicken to check the juices are clear. Cover the whole tray in tin foil and leave to rest for at least 20 minutes. 7. Lift the whole chicken onto an appropriate sized board and remove the legs, thighs, wings and breasts (there are many great videos online to help you with carving a chicken). 8. Place all the pieces back in the roasting tray and make sure that all the pieces are basted and covered in all those gorgeous buttery roasting juices. Leave stand another 10 minutes covered. 1. Place 1 egg yolk and the Dijon mustard in the small compartment of your food processor (it can also be whipped by hand). 2. With the motor running, start to trickle the groundnut oil in very slowly, drop by drop at the start. As the mix starts to thicken you can increase the speed of the oil being added carefully. 3. Add the truffle oil after the Groundnut oil. 4. Add the white wine vinegar, 2 good pinches of salt, a few turns of fresh black pepper. At this point the mayonnaise should be quite thick. With the motor turning start to drizzle some cold water in until the texture changes back to a lighter, more pourable texture – a little judgement is required here. Add the water and check and add a little more and repeat. 5. At this point taste it and add a little lemon juice, salt and pepper if needed. 1. Trim the base off the leeks and cut the tops at the point where the light green starts to darken. Wash the leeks thoroughly. 2. Run a knife the length of the leek being careful not to cut deeper than the outer leaf and then peel away the outer part of the leek. If they are particularly big leeks you may need to repeat this on the next layer as well. 3. Steam the leeks between 8 and 15 minutes depending on the size of the leeks. When a small knife passes through with ease, they are ready. 1. Toast the hazelnuts for a few minutes in a dry pan or under the grill on a tray. 2. Tip them into a pestle and mortar and crush them briefly so that you still have reasonably large pieces. 3. Put your grill on a high heat and place 4 plates in the bottom of your oven to warm them up. 4. While the chicken is resting, slice the leeks in half. 5. When the chicken has finished resting, place the roasting tray under the grill to give it a blast of heat for approximately 2 minutes. 6. Take out the chicken and warm the leeks on a tray under the grill for 1 minute. 7. Bring the roasting tray, the warmed leeks, a bowl of the truffle mayonnaise and small bowl of crushed hazelnuts to the table and let people help themselves. Tip: If you prefer to dress each plate individually, you can place a neat spoon of truffle mayonnaise on each plate, a sprinkling of hazelnuts on the mayonnaise, half a leek per plate and a piece of chicken with the roasted side facing up. Make sure you spoon those lovely roasting juices from the pan generously all over the chicken. A little squeeze of lemon juice and a pinch of Maldon Salt over the chicken after the roasting juices will do it a world of good! This wine is full bodied with a high level of very precise acidity which balances the concentration of the wine. 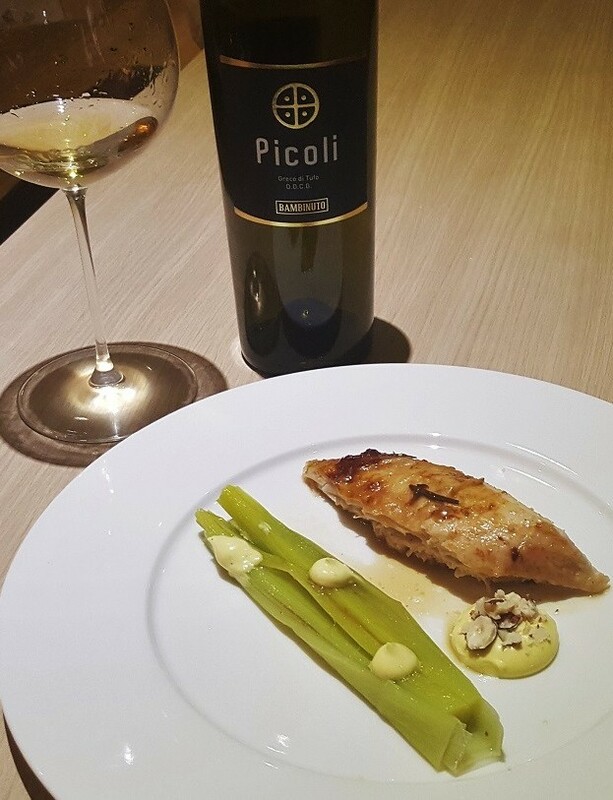 The body and the intensity of this wine are perfect with roasted white meat. The touch of richness brought by the mayonnaise will be balanced by the zesty character of the wine. Aromatically it shows a wonderful concentration of exotic fruits and red apple character which will complement the sweet vegetal notes of the leeks. The touch of smoked minerality found in this wine will complement the flavour profile brought by the truffle while the almond like character of the wine will harmonize with the toasted hazelnut flavours of the dish. I think this is yummy combination and I hope that you will enjoy it as much as I do!